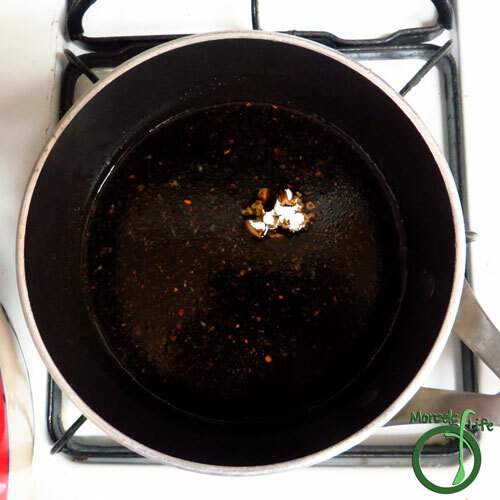 General Tso's Chicken is one of James' favorite things to order at Chinese restaurants, so when I saw this recipe for General Tso's Meatballs on I Breathe, I'm Hungry, I knew I had to give it a try. We didn't have any ground chicken or turkey, so I substituted ground beef. 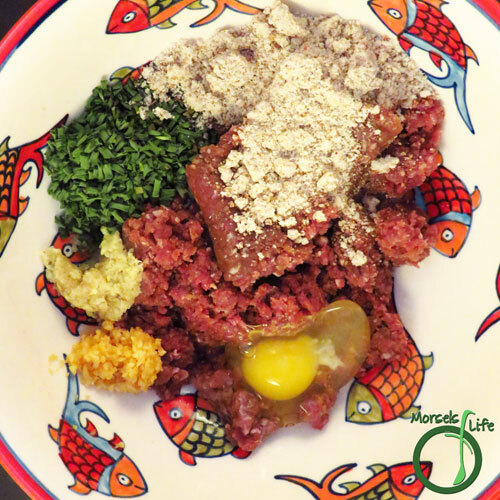 Since then, we've also tried it with ground pork. Great results each time! Aside from changing the meat, I didn't add any water into the sauce. I thought the amount of liquid was good for the amount of meatballs, and we still had a bit of sauce left over at the end. 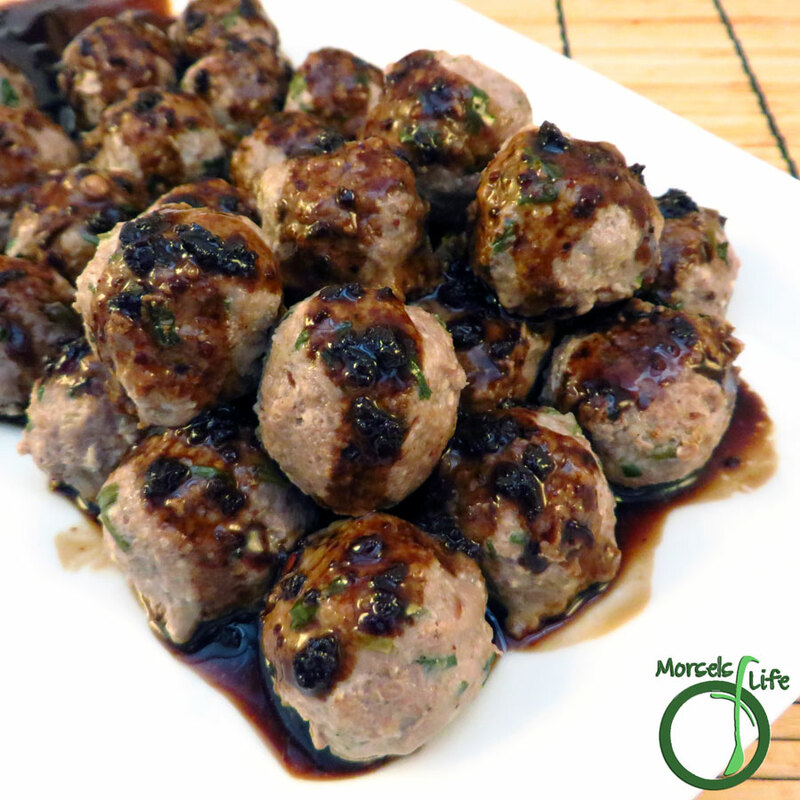 I'm thinking maybe I'll have to freeze these meatballs premade - they were so tasty! 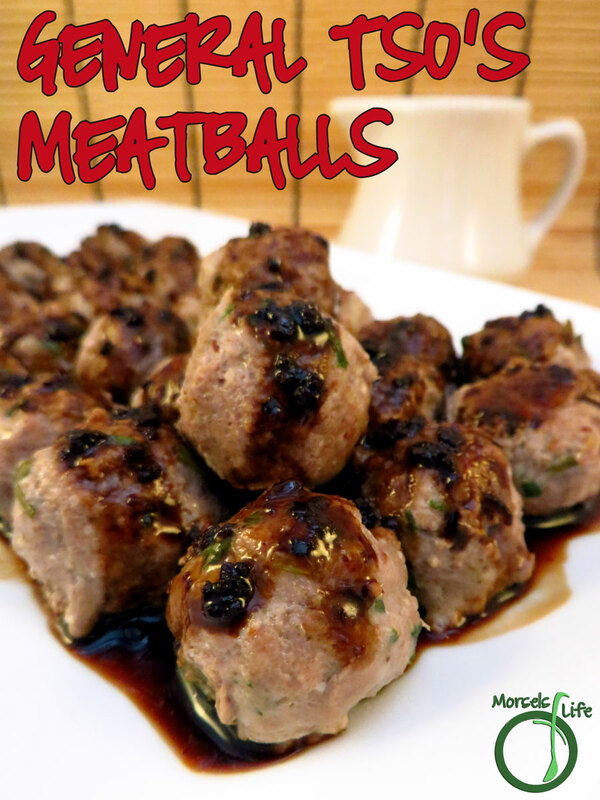 What's your favorite dish to make in meatball form? 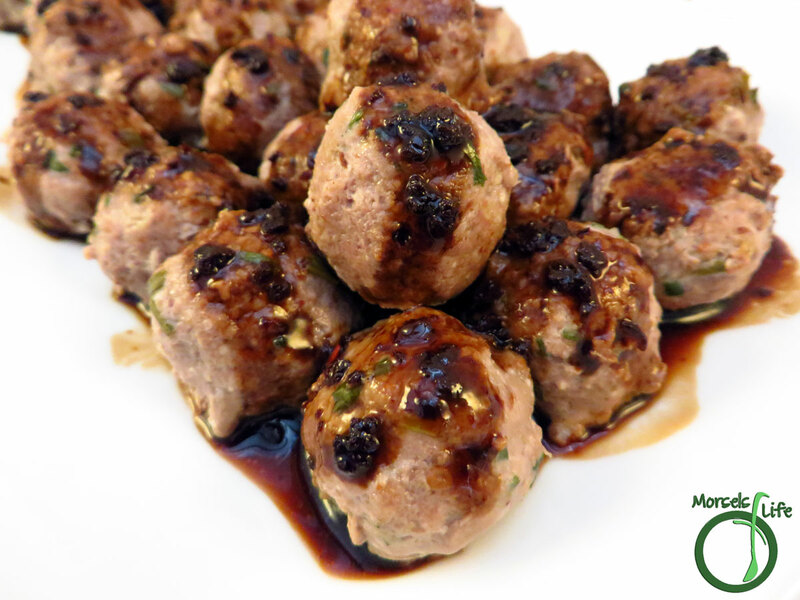 Sweetly spicy and slightly tangy, you've got to try this General Tso's in meatball form! 1 pound ground meat I used beef. 2. 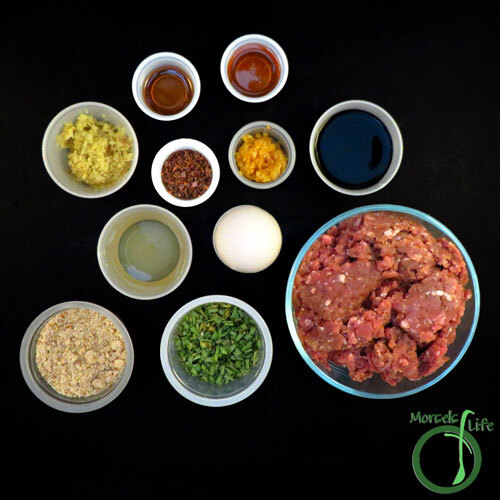 Combine meat, ginger, green onions, garlic, egg, and almonds. Mix all materials until homogeneous. 3. 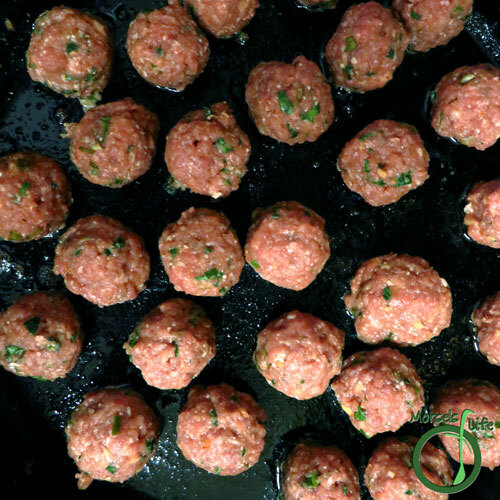 Pan fry meatballs until crispy or bake at 350F for 15 minutes. 4. Meanwhile, heat sesame oil, rice vinegar, soy sauce, honey, and chili pepper flakes. Pour over cooked meatballs. I have not made any dish in meatball form! Based on this recipe, I have been missing out. Thanks for sharing on the Waste Less Wednesday Blog Hop! I love the spices in General Tso! Thanks for sharing on the What’s for Dinner link up and don’t forget to leave a comment at the party – Next week’s features that also leave a comment get pinned, yummed and tweeted! We love those flavors over here too! However, I'm not always a fan of making it the usual way, so we make meatballs. :) Hope you enjoy!